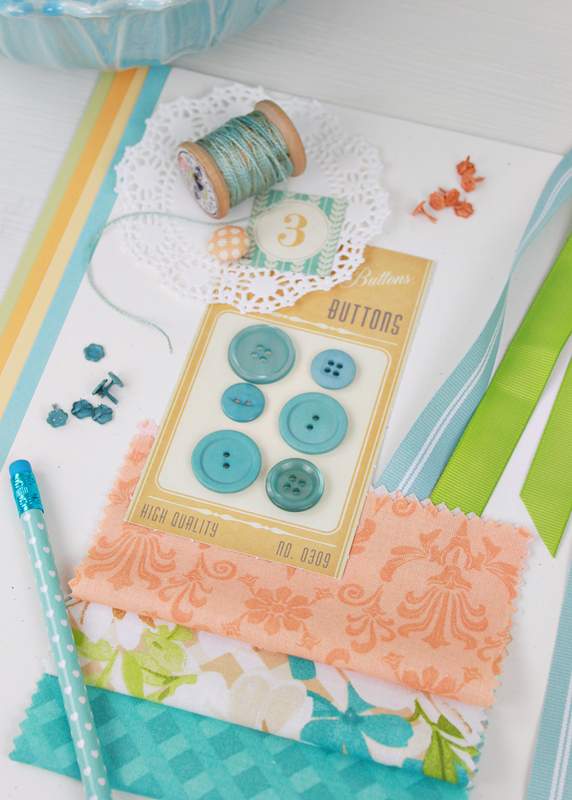 This weeks mood board is very sherbet-y, with a great mix of patterns and textures. You all know how much I love contrast, whether in color or texture. Here, I was inspired by the mix of genres in the fabrics. 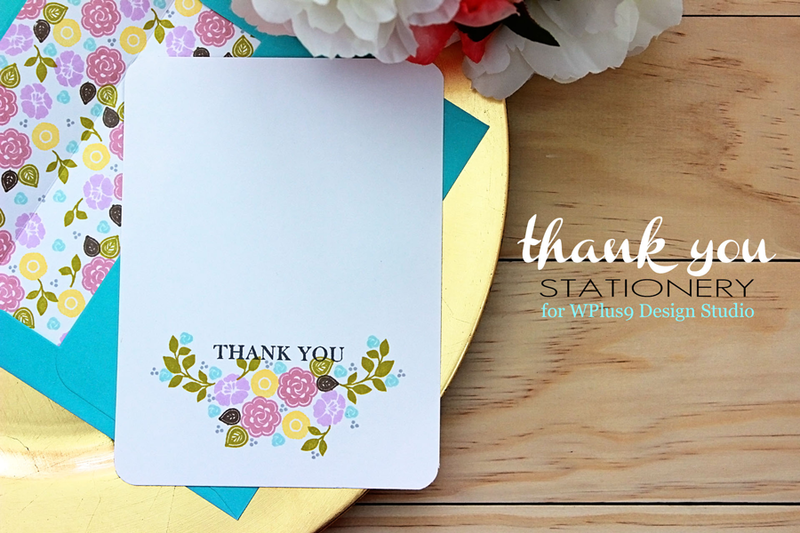 Hello, Jean here with a Thank You stationery set to share with you today. My sister has been asking me for forever to make her a stationery set. She’s a mom of three rowdy boys, and she sends a lot of thank you notes to their teachers in school. (Maybe even some I’m Sorry notes too.) So I thought that a Thank You set would be most useful for her right now. 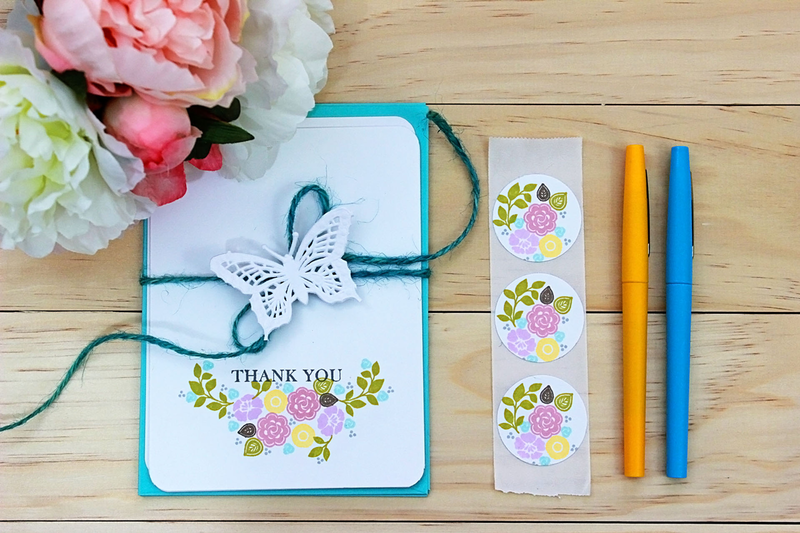 Don't be afraid to mix and match flowers from different stamp sets. 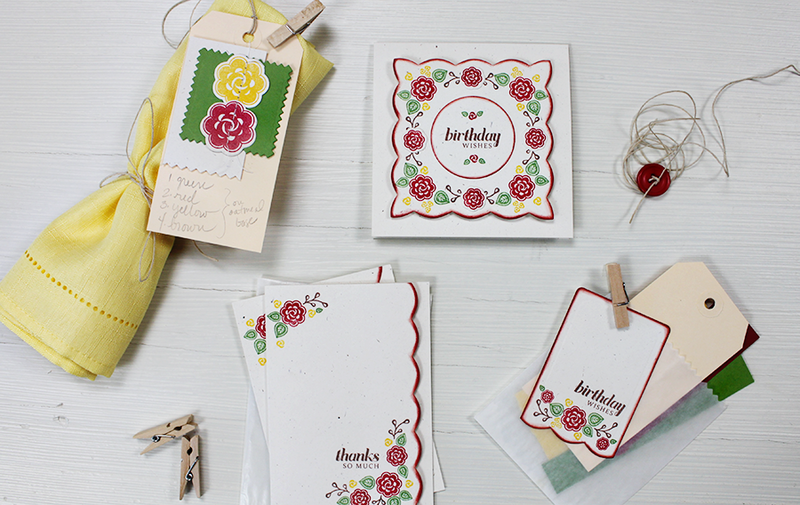 Here, I've selected a few flowers and leaves from each set and stamped an arrangement to envelope the sentiment. My sister loves flowers so this is just perfect for her. Quick Tip: Experiment on scratch paper with your flower arrangement until you are happy. Then use it as a reference to stamp your cards. If you really want to make a complete stationery set that feels high-end, don't forget the supporting cast. Here, I've added envelope liners, stamping them with the same flowers. Lined envelopes always feel more complete. This way, it coordinates really well, and there’s another beautiful surprise when the recipient opens the letter. 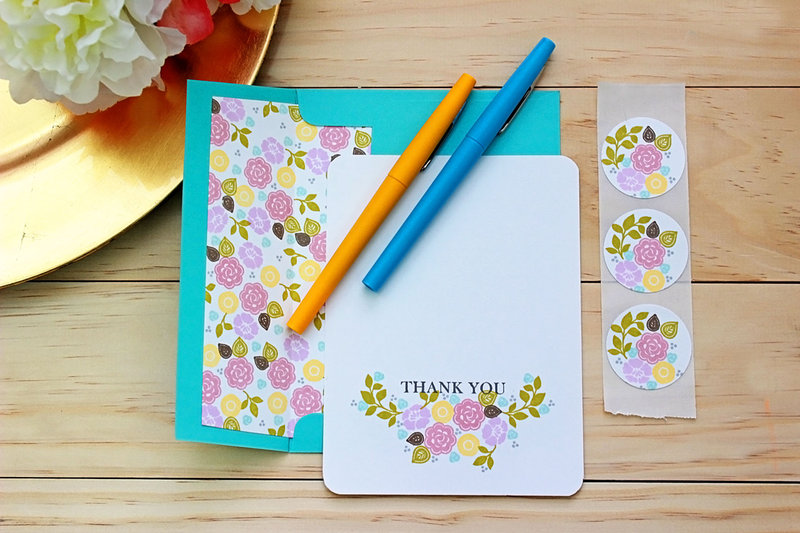 Quick Tip: Stamp your floral pattern over entire sheet(s) of card stock and then cut your liners to save time. I also made envelope seals. These are a lovely added bonus to the set! 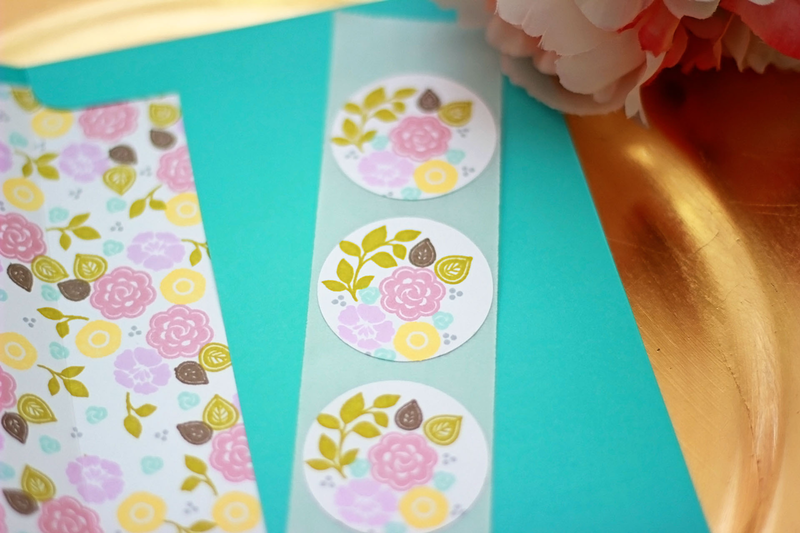 I just punched out a few circles and then stamped the floral images on them. Then I ran them through my Xyron sticker maker. Viola! Easy peasy! Colored pens are a perfect way to finish off this set for gift giving. 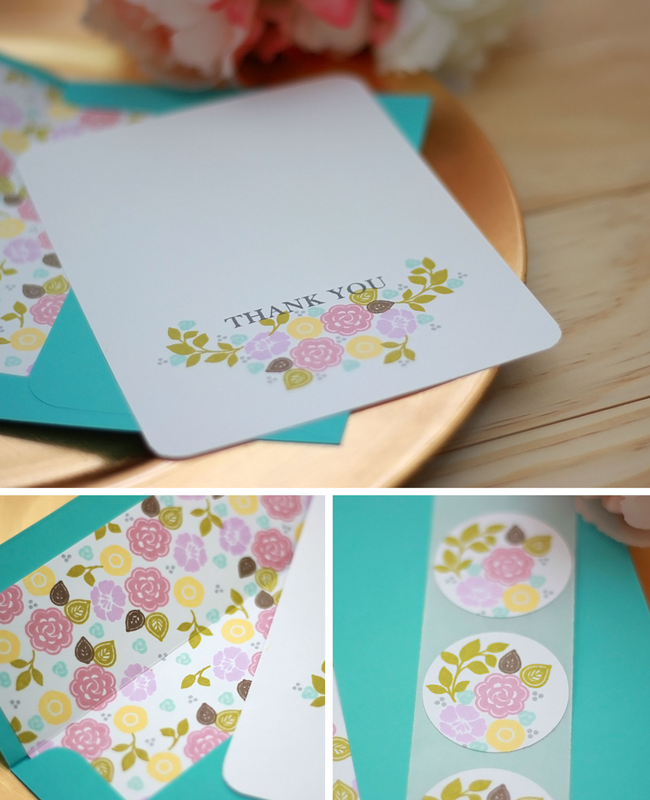 You can make your own Thank You stationery that looks just as beautiful as store bought ones. 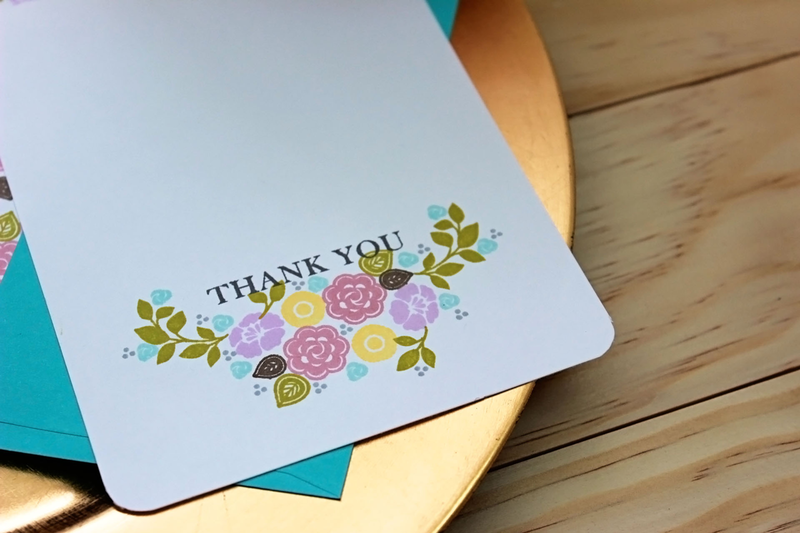 And the people who receive your notes, will love that it’s your very own hand stamped cards. 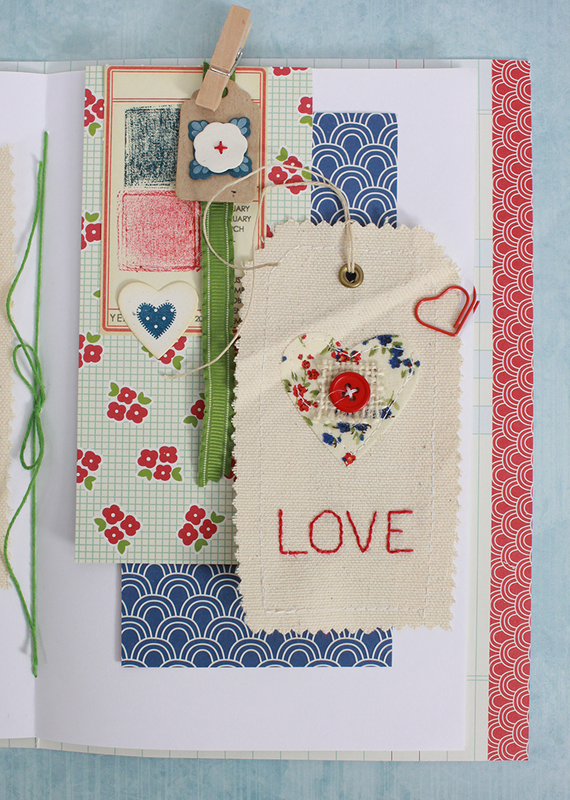 There are 10 cards in this set, but if you are pressed for time, a more simple design would look just as lovely. OK, so this isn't technically a "Mood Board", but I just loved this shot! This is a photo from a recent photo shoot I did after baking and decorating for 2 days straight. So, let's just roll with it and consider it a trigger! 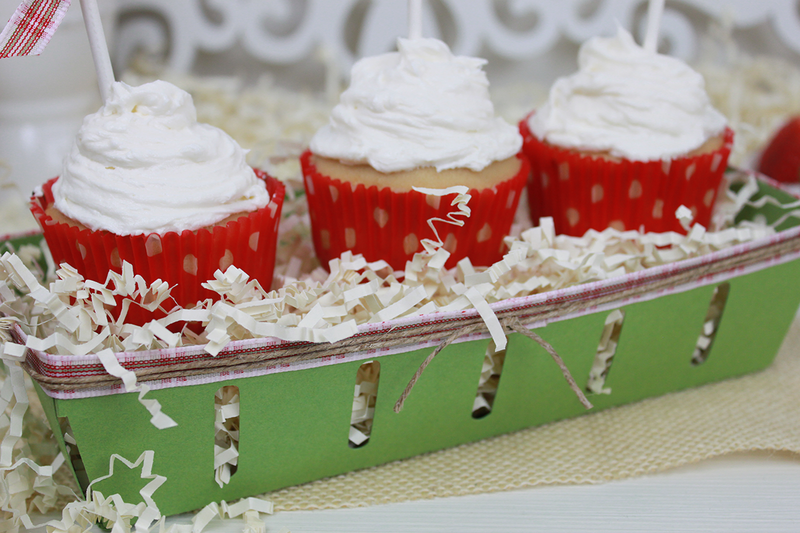 Today I have another fun way to dress up some cupcakes and create an easy and fun way to display them. 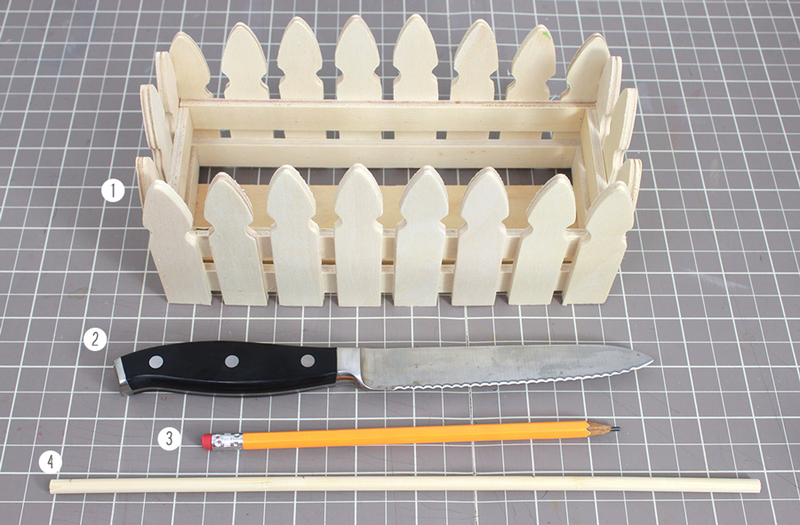 Check out these cute little picket fence baskets that I found at my local Michael's. I thought they would be perfect along with some paper crafting supplies, to hold these rose iced cupcakes that I made. To make sure that the cupcakes are anchored and don't tip over, I'll show you how I added a few stakes to the basket to slide the cupcakes onto. Measure and mark the wooden dowel to the top of, or just below the top of the box. Carefully cut the dowel where marked. 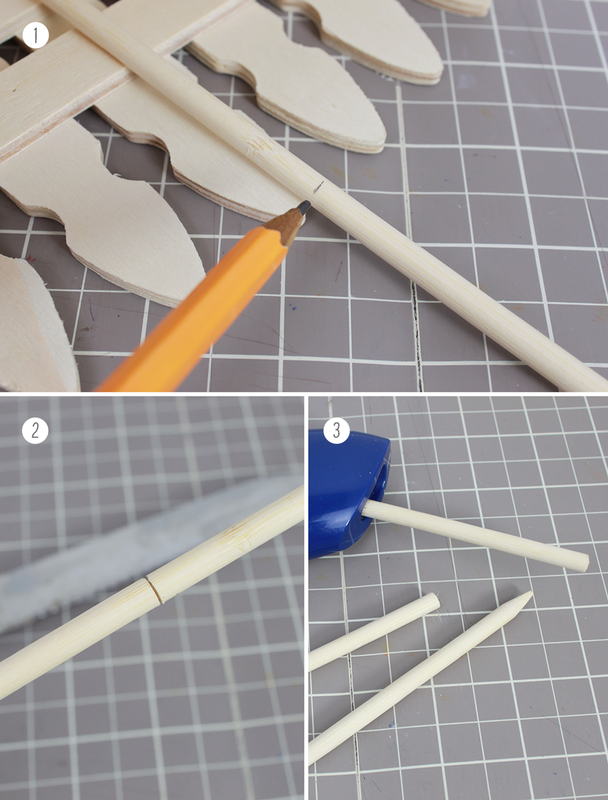 Use a pencil sharpener to sharpen one end of each dowel. 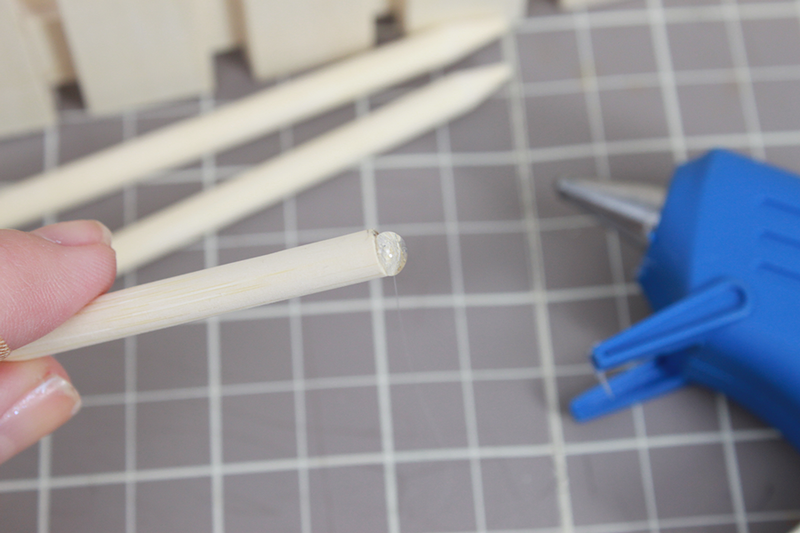 Quick Tip: You don't have to cut the dowel all the way through. Use the knife to cut part way through and then just snap it at the break point. 4. 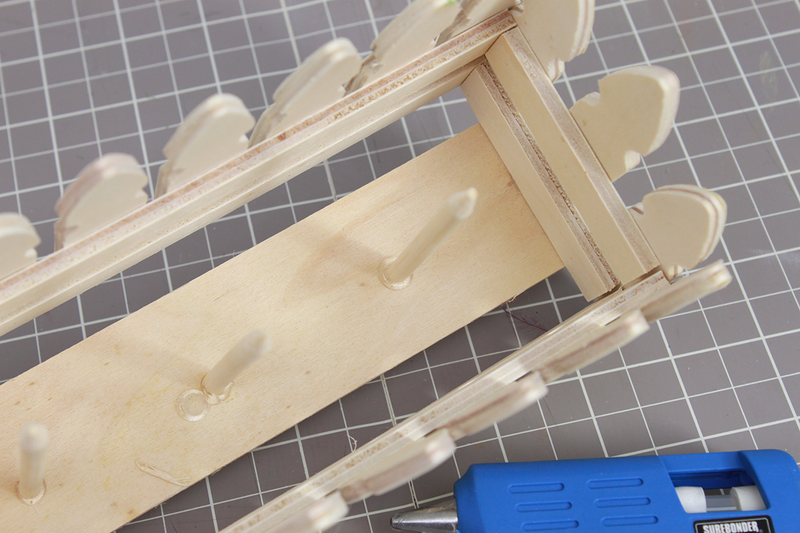 Apply a small bead of glue to the flat end of each stake using a glue gun. 4. Glue stakes evenly spaced apart to the inside bottom of box. At this point, you can decorate the outside of your box or paint it if you'd like. 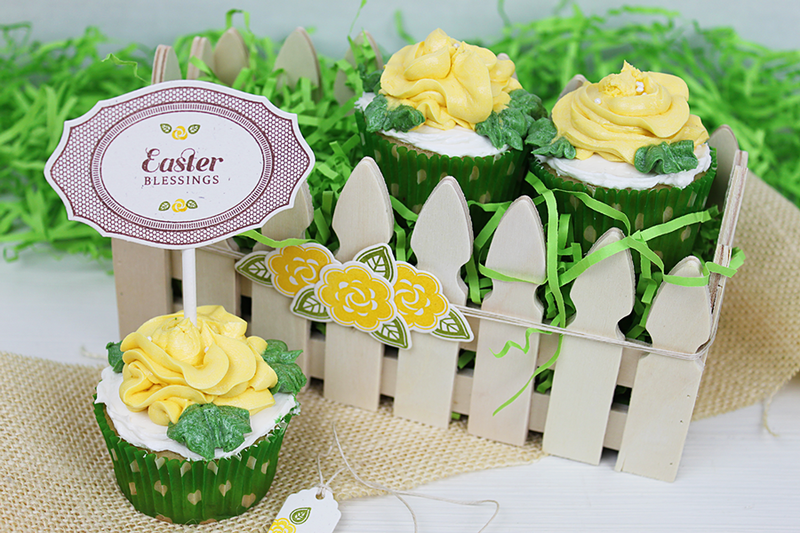 Then just fill the box with easter grass, or any filler of your choice, and slide a cupcakes onto each stake. What's better than a delicious cupcake? Why a delicious cupcake that looks pretty, of course! 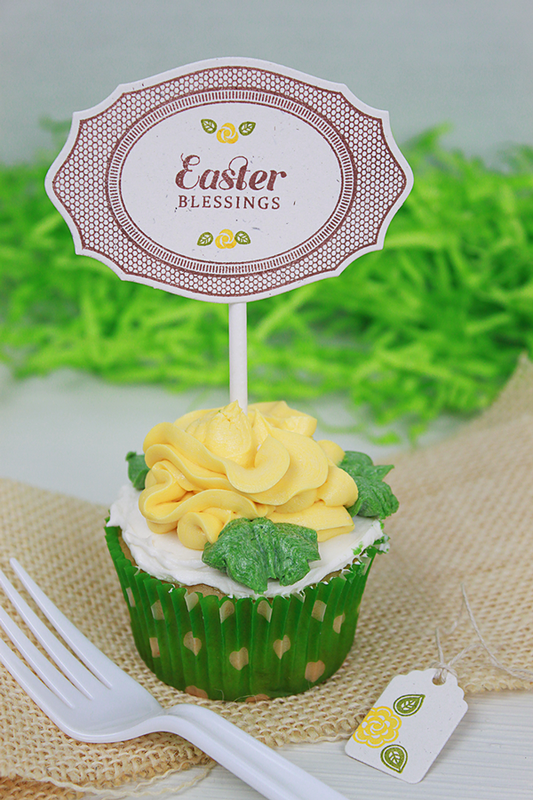 Here's a quick and easy way to take dress up those cupcakes for your next party, to give as a thank you gift, or just as a special treat for the kids! It's all in the presentation, right? 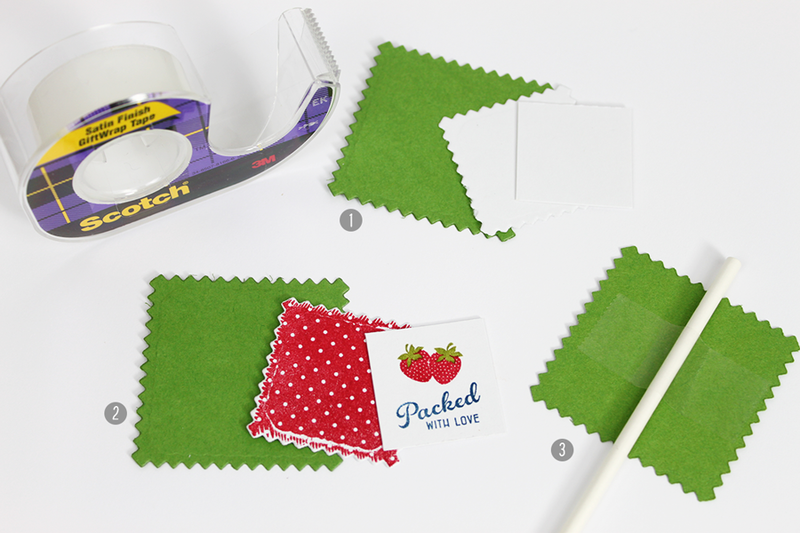 Creating these cupcake picks is easy and can be easily adapted to any theme. Die cut 2 pinking squares and cut a small 1 1/8" square. Stamp background onto smaller pinked square. Adhere to large pink square. Stamp message and image onto smallest square and adhere to front of pinked squares. Adhere lollipop stick to back using Scotch tape. Quick Tip: You can find lollipop sticks at your local craft store, like Michael's, in a variety of sizes. To save money, buy the longest length to use on multiple projects and just cut them to your desired length using kitchen shears. Finish the picks off by tying a little piece of ribbon around the lollipop stick. This is a really fast way to add a little WOW! factor to your everyday cupcakes. 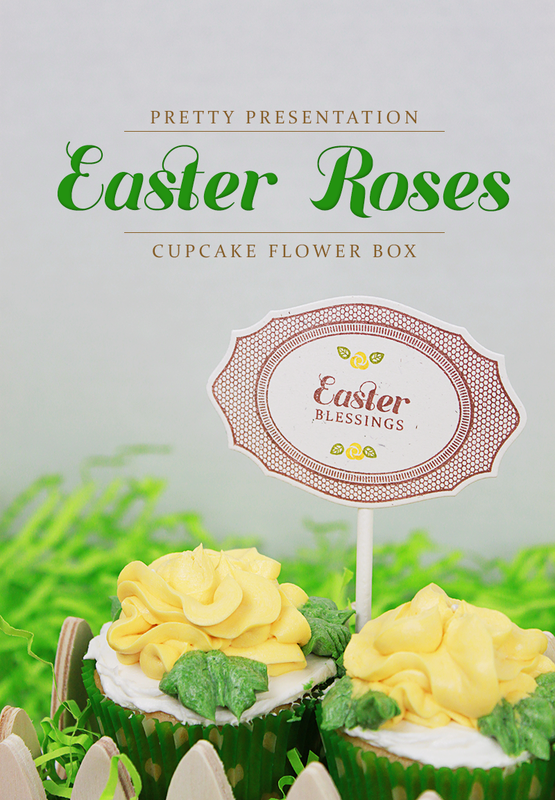 Optionally, you can display or package your cupcakes for gift giving in a little berry container. 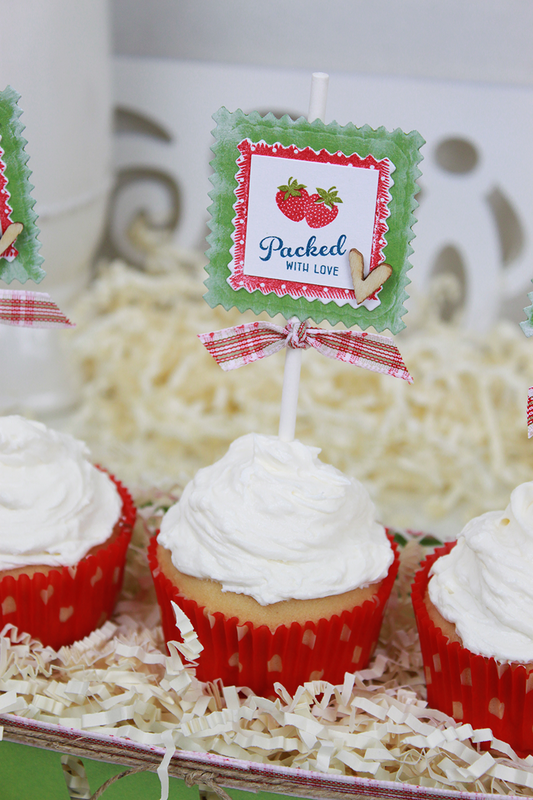 How cute would these look lined up on the candy buffet at a birthday party?! 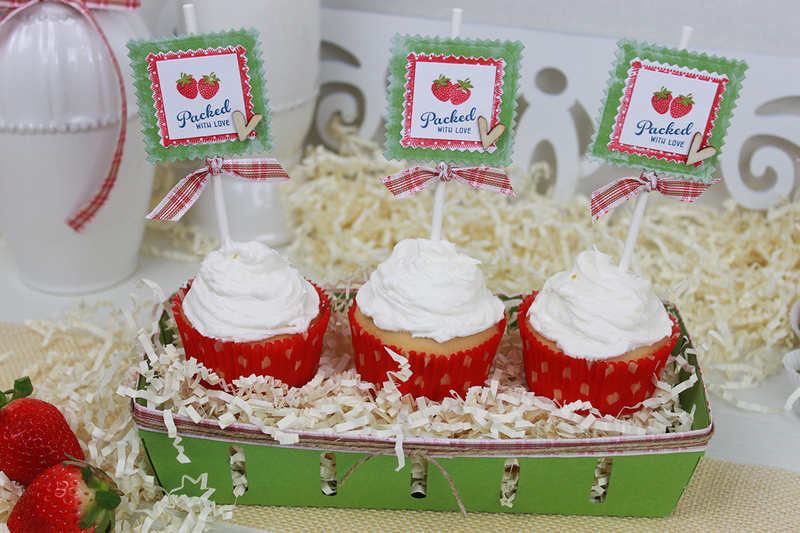 I created a berry tray that holds up to 3 cupcakes using the Silhouette Cameo. 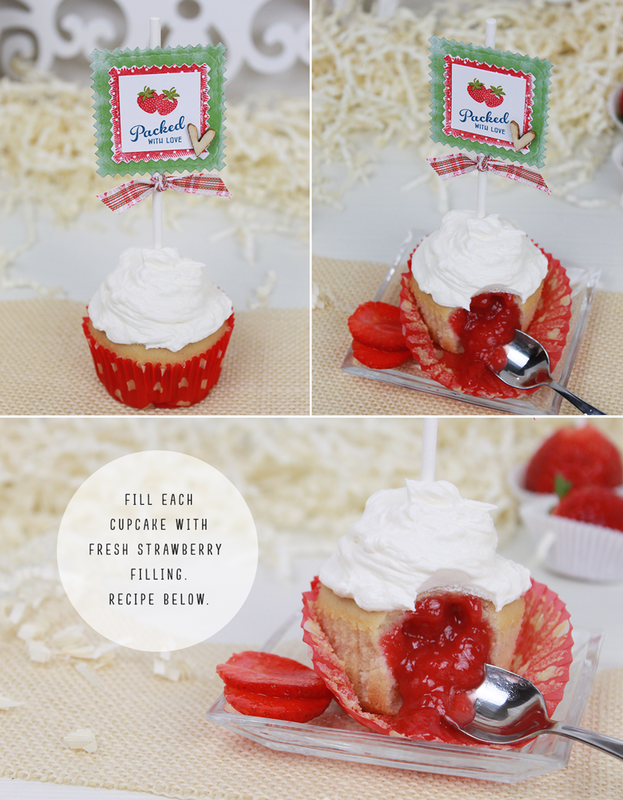 Free Download: You can download the Berry Tray file here. Once the pieces have been cut out, use a strong adhesive, like Score Tape to assemble for sturdy construction. So, where's the love, right? It does say packed with love. 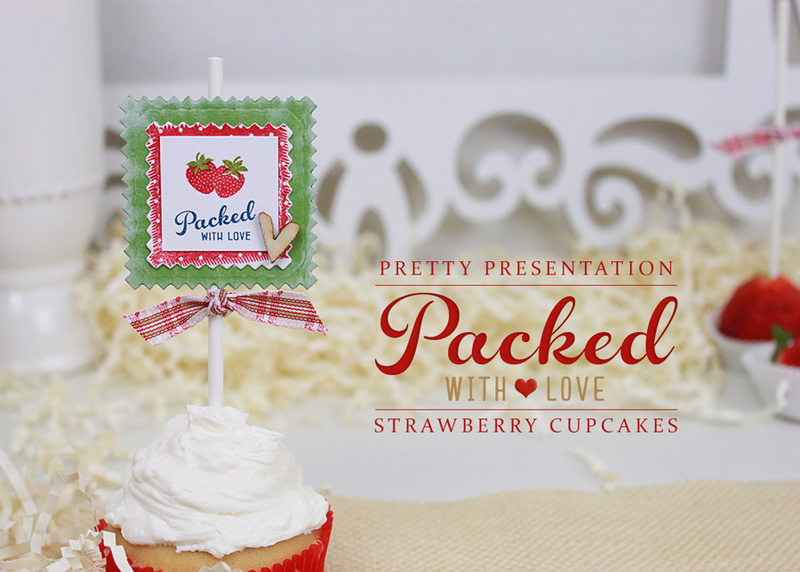 Each cupcake is filled with a fresh strawberry compote. YUM! 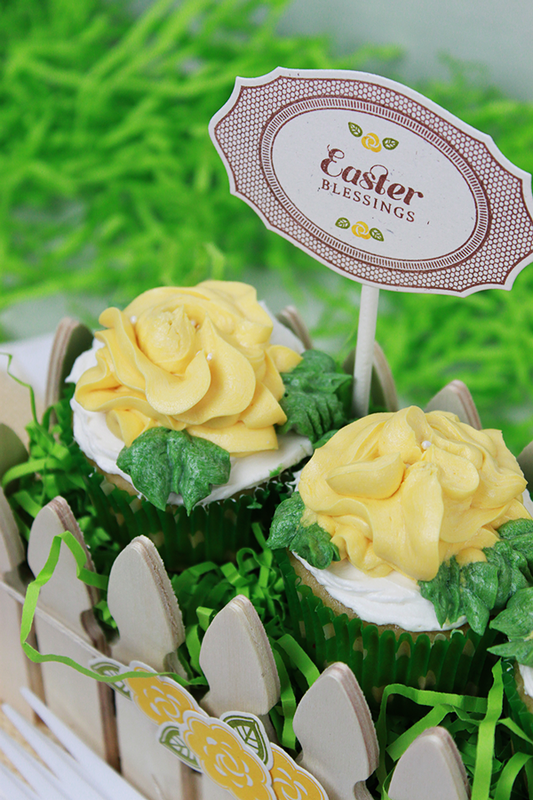 These cupcakes are absolutely divine! 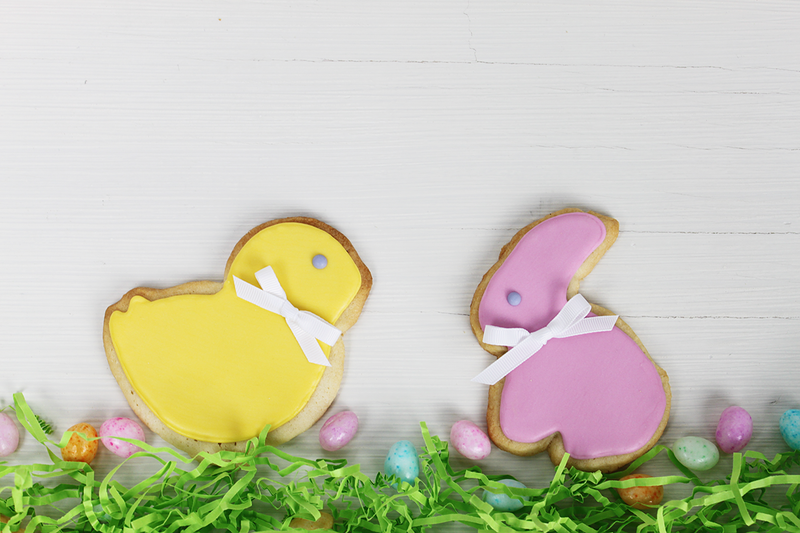 They taste amazing with either a cream cheese or buttercream frosting. And the strawberry filling is deceptively easy to make. This is also delicious as a waffle topping, filled between cake layers, or spread on toast. This week's mood board is a fun one! It's been unusually cold here in the south and I for one am ready for it to warm up again. Just looking at these colors warms me up. Add to it the farmhouse appeal of the elements, and I can picture myself sitting on the patio sipping a big glass of sweet tea!